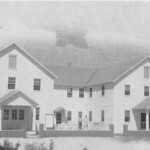 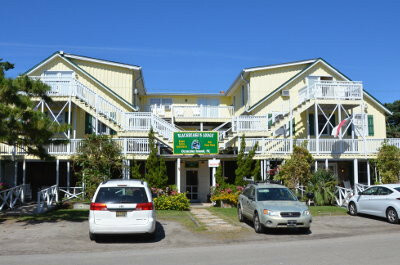 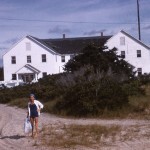 Built in 1938, Blackbeard’s Lodge was originally named the Wahab Village Hotel. 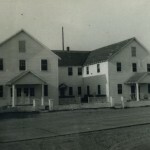 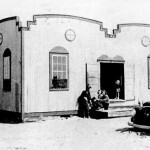 It was the first island building constructed specifically as a modern hotel. 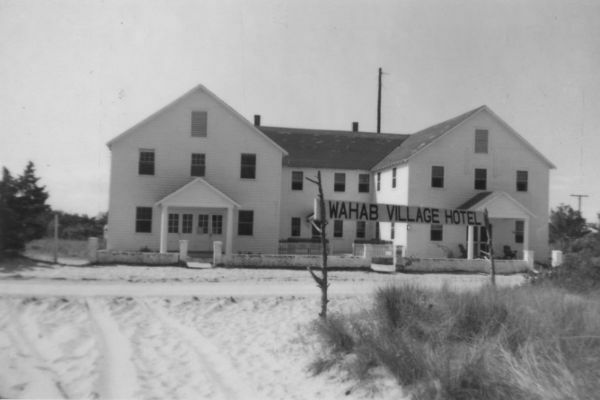 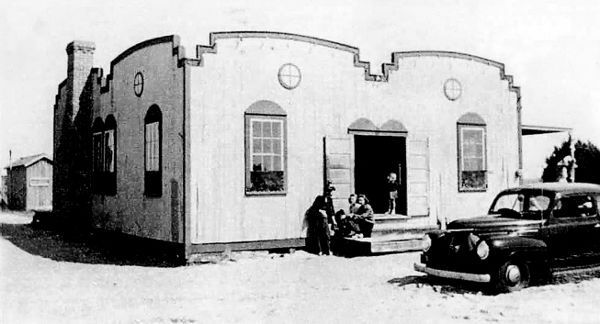 In addition to rooms (some with private baths), and a restaurant, the Wahab Hotel boasted a roller skating rink and a movie theater, one in each of the ground floors of the two side wings. 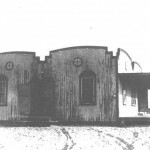 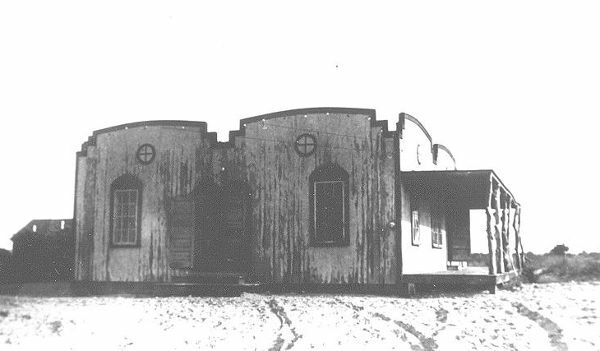 Nearby was the Spanish Casino, a square wood frame building constructed in hacienda style. 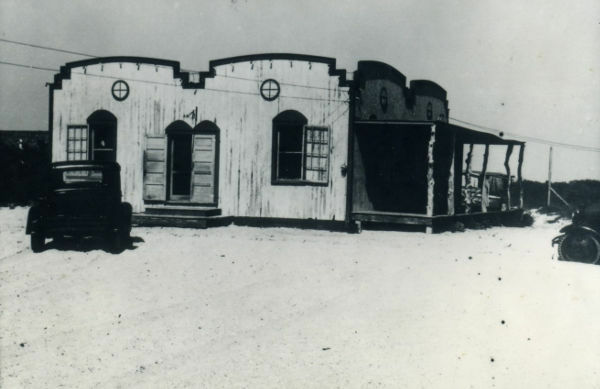 It was sheathed in plywood and covered with an adobe-colored paint mixed with sand. 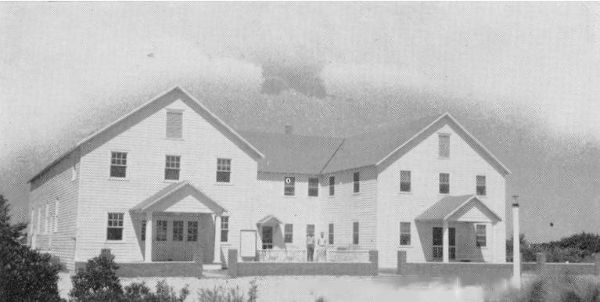 In those days island musicians, as well as vaudeville stars from as far away as Baltimore and New York City, played for concerts and dances. 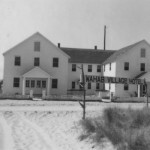 In the 1940s and ‘50s wide tidal flats stretched for several miles between the Wahab Hotel and the ocean. 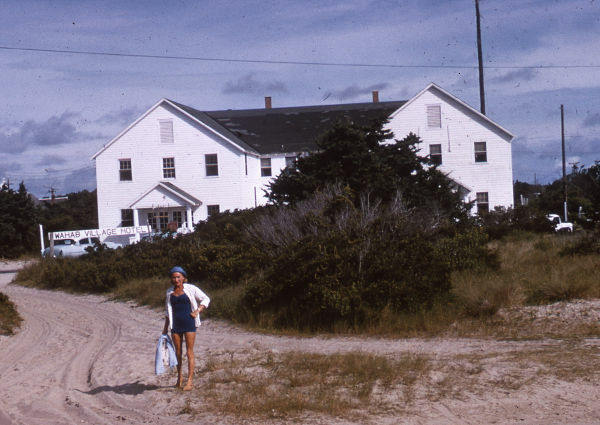 Rutted paths snaked across the flats where surplus Army jeeps and other early four-wheel-drive vehicles plowed through the sand to carry tourists from the hotel to the beach. 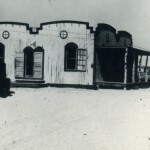 Small private planes would occasionally land on the hard-packed sand and taxi almost to the front gate of the Wahab Village Hotel. 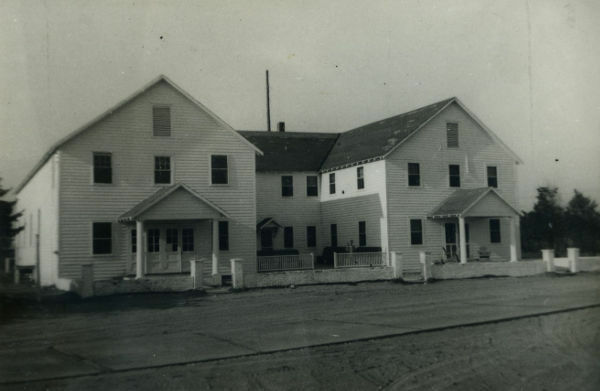 The Spanish Casino was demolished in the late 1940s and today Blackbeard’s Lodge is a modern island hotel.